Over the past few decades I have met a surprising number of people who appear to be actively pursuing their spiritual path and development whilst they are also engaged in habitual drug use. When I say a “surprising number” it may in fact be the majority of people I meet who are into “spirituality” and alternative lifestyles. The reason this surprises me is what I will outline here in this article. To put this into context I will say that psychoactive substances are not foreign to me. As a teenager I was very much into exploring anything and everything that enabled me to shift my state of consciousness into non-ordinary perception and realities. That included various forms of meditation, chi kung, yoga, tai chi, etc. It also included using a wide range of entheogenic and psychoactive plant medicines. I would go into details here as it’s a public format not suited to such disclosure. Let’s just say I’ve been exploring heightened, deepened, and altered states of consciousness for most of my life, and there was a period when that exploring incorporated the use of powerful plant medicines. Been there, done that, seen what needed to be seen. The primary issue I have seen with almost every person I have met who uses psychoactive substances is that they have opened themselves to entity possession. The kind of entity can vary, and usually there are a great many of them in the luminous body of drug users. Many people who smoke marijuana will have the plant spirit of marijuana in their astral field. There are a great many shadow beings in the astral realms, and almost every pot smoker I have met had a multitude of these entities in their field. Along with that is a certain haziness around their chakras, usually with an accumulation or concentration around their head centres (the third eye, pineal gland, crown chakra, etc.). The fogginess in the pineal and pituitary region is almost a given side-effect of marijuana smoking. A Yogi I know once pointed out that marijuana use sets up a certain state of spiritual delusion which centres around the pineal gland.I have time and time again observed the effects of this. How it plays out is the person will feel and even strongly believe that marijuana use makes them more spiritually “connected” and “aware”. They will often justify their use of marijuana with the argument it makes them more conscious and spiritually awakened. Almost without exception I observe that this is a delusion. When a person first starts using marijuana it is quite likely the experience will in fact open them up spiritually. This is especially true if there personality is anchored in materialism, which is pretty much the case for most people society — even the “spiritually aware” ones. Most psychoactive substances enable the user to become more aware of their own astral body, and it can help to temporarily dampen down the mental body which for most people is over-active and plays too dominant of a role in their perception of Life. Toning down the mental body and amping up the astral body therefore opens the person to a significant and potentially growth-full shift in perception and consciousness. The trap is that many people get stuck in the fog brought upon them by marijuana use. Often the result is they become apathetic and spiritually deluded about where they are at. Access to higher or more subtle realms, beyond the lower and perhaps upper astral realms, will generally be blocked, and yet they will believe they are advancing more than they really are. The entities which typically become involved complicate the situation even more. Identity loss can result, which means the person will lose a clear and lucid sense of true self-definition. Rather they will become defined by the influence of the entities they pick up on, combined with their own unresolved and enlivened astral baggage. Stronger psychoactive substances such as LSD, MDMA (ecstasy), Ayahuasca, mescaline (peyote, San Pedro), can all have similar effects. 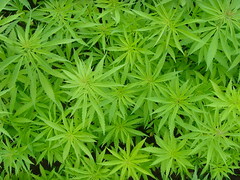 Marijuana, however, appears to me to be more unique with regards to the fog it creates in the head centres, and that can hang around as a residue for many years after the person stops smoking it. They other substances I just listed don’t tend to do that. They do, however, open people up even more strongly into the astral realms, even certain higher astral and beyond into the causal realms, which can be very consciousness expanding, but it can also be very problematic. The problem arises when people don’t take these substances under the right circumstances, nor with the correct intent. Entity intrusion is again a very typical consequence. This naturally results in a diffused or distorted sense of self-definition, and that is completely contrary to true spiritual awakening. The other issue with most psychoactive substances—and this especially applies to marijuana—is that they leave us in an ungrounded state. Being grounded, which means being connected into the body and the Earth and the world around us, is vitally important to our spiritual emergence and development. I’ve met a lot of people who feel or believe that “being spiritual” means being spacey, ungrounded, floaty, and so on. Taking drugs becomes a means to spacing out. What often comes with this is a disinterest in life and a state of despondency. There is little, if anything, truly “spiritual” about such a state. On the contrary it typically leaves a person spiritually incapacitated whilst also generally being immobilised and ineffective at a worldly level. Yes, you read that right. Entities, inorganic beings, Malu (an ancient Hawaiian Huna term), spirits, or demons (a religious term) are very real in the astral realms. Surprisingly few people are aware of them, but that doesn’t mean they are unaffected by them. I can almost always tell a marijuana user by simply observing the grey haze around and in their head, and by the kind and quantity of entities in their luminous field. These entities will usually be around the head region, but they are can also show up elsewhere in addition to being around the head. It is not my intention to do a full write-up on entities in this article. I’ll leave that for another time. What I will say is that using psychoactive substances within in appropriate circumstances is perhaps the fastest way to open ourselves up to a whole host of life-taking forces, entities, and energies. I will add that establishing appropriate circumstances is not something most drug users are likely to have any clue about, and pretty much every drug user I have met does not understand much, if anything, about establishing suitable circumstances for safely and cleaning exploring the realms made available to them by ingesting entheogenic plants and substances. I am being frank and up front about these things not from some sense of arrogance but from a sense of wishing to make it very clear there is a great deal more to safely and cleaning using entheogenic substances than most people realise. Yet I am aware many get easily self-deluded about their own abilities in this regard, and can easily think, “Oh yeah, but this doesn’t apply to me… I know what I am doing.” Reading a few Carlos Castaneda books, for instance, is not going to give you the necessary tools and wisdom to safely and cleaning use entheogenic plants. Does this mean we should not use such substances at all? I would have to say the appropriate answer is different for each person, and something only you can answer for yourself. The key consideration is this: If you feel moved to explore the use of entheogenic substances it is vitally important to be very clear on how you go about it AND very clear on when it is time to drop it and move on. As soon as the substance becomes addictive and/or when it ceases to bring about genuine openings in your consciousness, it is time to drop it, detoxify, and move on. 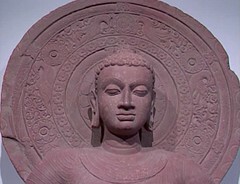 What’s more, if you notice you have any kind of dependence on the substance, then great self-awareness is called for. For instance, if you depend on smoking pot in order to “have a good time” or to simply go out and socialise, I would suggest you are deluding yourself if you think you are using marijuana for “spiritual” purposes. But there is a common trap: The majority of people I have met people don’t have the necessary discernment and spiritual self-awareness to know when that time has arrived. If one continues to use these substances beyond that point, it typically becomes harder and harder to see that fact it is time to move on. That’s when many drug users, including those who do it for “spiritual” reasons, end up in the spiritually deluded states I mentioned above. Speaking a little more about dependency and needing drugs to socialise: Going out into dense environments such as parties, nightclubs, bars, movie theatres, big gatherings, etc., under the influence of psychoactive substances is highly unlikely to help you evolve spiritually. Such activity is highly likely to expose you to a significant amount of discordant energies, entities, and shadow forces, and with the drugs in your system there will be very little you can do to war these energies away. Basically you’re a sitting duck. Entheogenic substances absolutely have the potential to open a window into other realms and other states of consciousness. From my own direct experience and from the experience of many people I have met, I have no doubt about that. What’s more, it is vital Man become aware of these realms and states of consciousness if he/she wants to grow spiritually. However, doing it through a window is not enough. A window allows us to see what is beyond the walls that surround us, but they are not typically a suitable way to go beyond the wall. It gives us a taste. It awakens us at a experiential level to the fact that there is a great deal more to Life than what meets our eyes and other senses. We might know that at a mind level, but actually expericing this for oneself can be truly life changing. It is an awakening. Having said that, the real benefits of such awakening only come when we find the door into these other realms. We also have to find the key for that door, so we can unlock it and come and go as we please. A door allows us to walk beyond the walls of our ordinary waking consciousness at will. The windows lets us see what is out there, and we can even stick our head out the window and get a taste for what is out there. The door lets us have the full experience. Genuine spiritual practice provides the door, as does spiritual Grace. Entheogenic substances typically only provide a closed window through which we can see the world outside but not leave our prison and walk in the open fields beyond. From my perspective, the bottom line is this: If you’ve been using marijuana consistently for more than perhaps 3 to 6 months at most, you have quite likely gone beyond the point at which it would be best to drop it. Of course I am assuming you wish to continue developing spiritually. The spiritual aspirant—or what I refer to as the Warrior at an archetypal level—prizes and protects his sobriety above everything else. Using marijuana for a few months is likely to give a person all the possible benefits marijuana can provide. Beyond that it starts to diminish our sobriety in a way that becomes increasingly hard to get clear from. Clarity is lost, and our lucidity is then lost and/or distorted. If you’re reading this, as a yoga practitioner, and you’ve been using marijuana for more than the past 6 months, it may be time to take a serious and honest look at what purpose your marijuana usage is really serving in your world? Using it just a few times will open one up in the ways it so readily can. But that’s all the use it meaningful purpose it can serve, ultimately. If you haven’t got it within a few months then you’ve missed it. I’d say it’s time to take another look at what you’re using it for. Again, you can only answer this for yourself. My view is this: For the vast majority of people the spiritual costs of drug use outweigh the potential benefits. What’s more, the costs—the price you will pay—are pretty much guaranteed, whereas the benefits are only potential benefits. You may or may not derive much in the way of benefits. Added to this is the fact that even a basic yoga and meditation practice is likely to bring about the same benefits in a relatively short amount of time, and these are long term benefits you will keep with. The major cost of using these substances is the infiltration of shadow forces, entities, and negative energies in your luminous body. This is such a challenge because these kinds of infiltration can affect they way we think, feel, and “see” (spiritually). It doesn’t take much for these forces to establish a veil in our consciousness that prevents most people from even knowing they are there. It’s a big gamble, and a high price to pay for some fairly low-level spiritual awakening. You will, of course, have to follow your own inner knowing of what is right-action for you. I hope this brief article has touched on enough pertinent points to be useful to you on your journey.